1170/5000On a city trip, many tourists like to go shopping. On the one hand, you have more time on vacation to stroll comfortably from one store to the next. On the other hand, big cities often offer a selection that can not be found everywhere. That is also the case in Vienna. 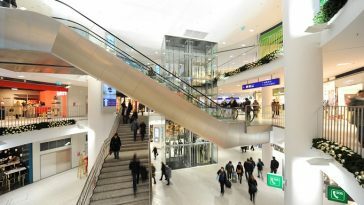 The city offers everything that is needed for a shopping experience: long strolling streets, flagship stores of big brands, individual shops and many cozy cafés to stop off for a short break in between. 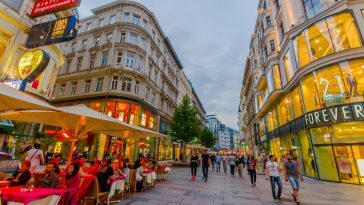 Especially the city center is suitable for a shopping tour, since here the Kärntnerstraße and the Graben, the two most famous shopping streets, converge. 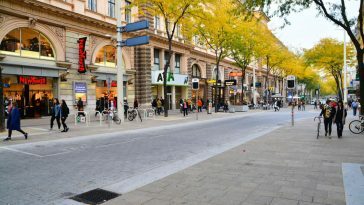 The Mariahilferstraße, which begins at the Museumsquartier, is the largest shopping street and runs to the Westbahnhof. 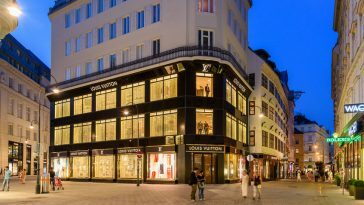 Particularly elegant boutiques can be found in Tuchlauben, the Golden Quarter in the city center.